Palak is healthy to eat make it in a different way. Evening brunch, please add your comments. Wash and dry palak and keep aside. Add all the other ingredients together adding water. See that there are no balls formed of basen. 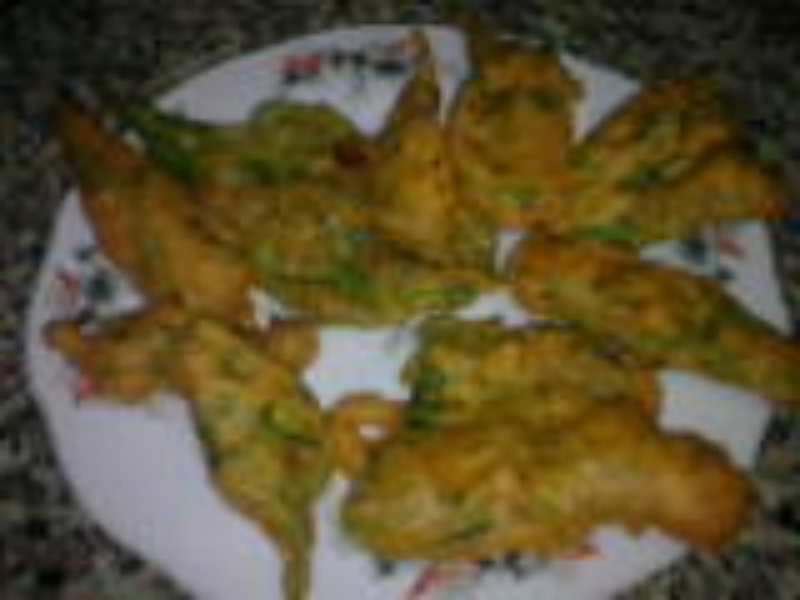 Take palak leaves one by one and dip in the batter and add in oil to deep fry. Cook both sides until golden brown, remove from oil on kitchen towel so that all the excess oil is socked. Serve hot with ketchup or green chantey.